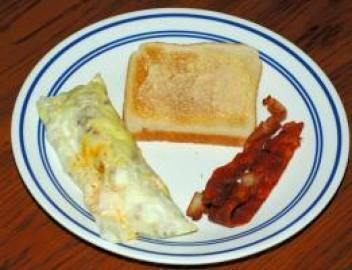 Try a Baggie Omelet for a quick and easy way to making an omelet. 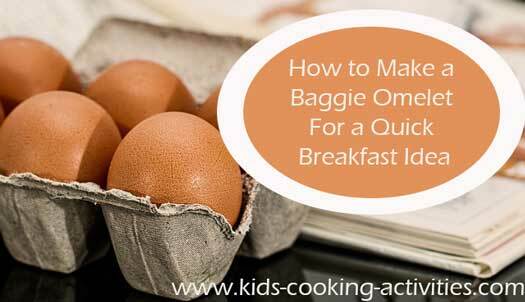 For a quick and easy kids meal try an omelet cooked in a baggie for breakfast or any meal. These also freeze well so you can make several omelets and place in freezer bags. On a busy morning pull one out and warm in the microwave. To start put a large pot of water on the stove and allow it to come to a boil while you are preparing the omelets. 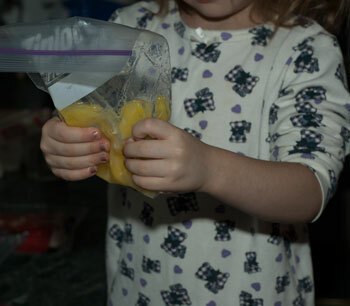 Put 2 eggs in a heavy duty baggie, press all the air out and seal the bag. Smash the eggs through the bag by squeezing with your fingers. Open the bag and add salt, pepper, shredded cheese, chopped ham, chopped vegetables. Whatever you choose to add to your omelet. Press the air out again and seal tightly. 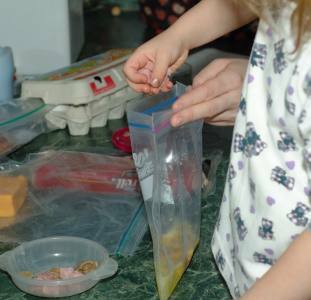 Fold the baggie several times making sure all your eggs are at the bottom of the bag. Carefully place in boiling water. Let boil 12-15 minutes. 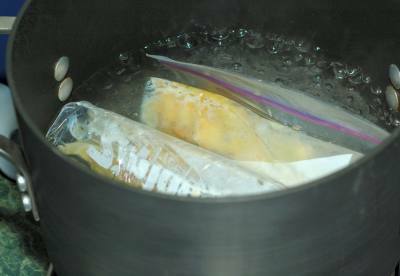 Carefully remove bag out of boiling water. Or let an adult do this step. Open the bag and your perfect omelet will roll out on your plate. Thank you Ruby B. for this recipe. Please Note: Ziploc bags and any brand of baggies are not recommended for boiling. See this note from SC Johnson company.